I’ve made a parametric turbine case avaliable. Thank’s to my company Minesto for letting me do that. 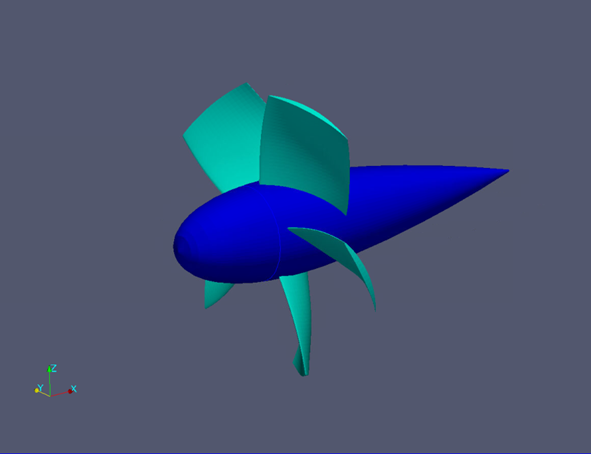 Have set up script for running the entire simulation using cfMesh for volume meshing, OpenFOAM for simulating fields. Openscad for watertunnel-geometry. The turbine geometry has pitch as input parameter, you can easily modify to suit your needs. The simulation has watertunnel size as input parameter. you use the turbine geometry model in your work. Averages moments and forces from 990 to 1000 iterations. Removes generated mesh and simulation. The Bjorn Bergqvist(C) turbine geometry. Directory with files used by cfMesh. 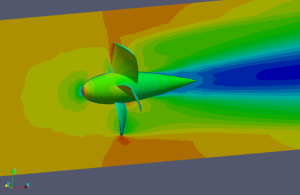 This entry was posted in OpenFOAM, Run, Script on 12 November, 2015 by bjorn. If you have a messy polyMesh you might use this script. Modify it to suit your needs. This entry was posted in OpenFOAM, Script on 24 October, 2014 by bjorn.